It has been an amazing and very busy twelve months in Biocontrol. Changes to rearing the Madeira beetle resulted in harvesting larger than normal numbers with the Sunshine Coast Council releasing 7000 beetles in the past six weeks. Over the next two to three years, large numbers of Jewel beetles will be released around Brisbane and the Gold Coast by Healthy Land and Water. 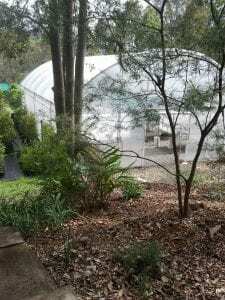 While we have been releasing Tingids for a little over 10 years, we have decided to downsize to make way for a new venture breeding composting worms for landholders and sale of worm juice and castings. Tingids will continue to be released to landholders and groups until the season slows early next year. From there Tingids will be released by biocontrol staff in and around the Gympie region. It has been exciting to see that our Leaf Tying moth to control cats’ claw creeper have emerged with 89 adults being transferred to new cages. Our fourth generation should emerge late December to early January and if we are able to rear enough to be able to establish on their own, they will be released out into the field. 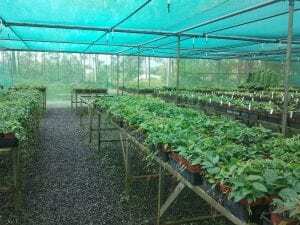 Biocontrol could not operate without the help and support of so many people. To all the volunteers who have helped catch beetles, care for plant stock, set up new tents and irrigation, insect and moth monitoring and so on, Pat, Phil, Steve, Sue, Kerrie, Bruce, Dave, Sandy, Suzanne, Leanne, Chris, Coral, Robin, Phil, Lesley, Peter, Peter and Peter. Kerrie who takes amazing macro shots of our bugs and beetles for our Facebook page and newsletters. Leanne and Sally who have brought in so many cats claw tubers to grow and feed our bugs and beetles. Admin staff, Jenny and Ari for processing insect release forms, accounts, data, grants and so on. Our Contract Services team, Ricky, Glen, and Carl who release insects on my behalf and give vital feedback from the field. 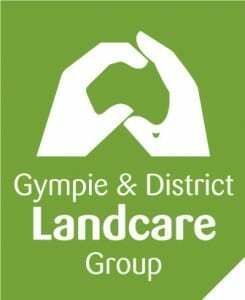 Our main supporters, MRCCC, HQ Plantations, Gympie Regional Council, BMRG, Sunshine Coast Council and our most recent supporter Healthy Land and Water and all of the Landholders and Landcare Groups and members who have supported the Biocontrol facility over the last ten years. Our committee members Ernie, Gloria, David, Mel, Louise and Louise who has given me so much trust and support in the work that I do. And of course, to Tony James our Nursery Manager who has been by my side on a daily basis, giving me encouragement, support and laughter throughout the facility. It has been my pleasure working you and I wish you all the best in your early retirement in 2019. Wishing everyone a very Merry Christmas and a fantastic 2019 from all the Staff, volunteers, bugs and beetles of Biocontrol.